Topic 2Where are you from? Topic 3What class are you in? Topic 2What color is his hair? Topic 3Whose cap is this? Topic 1Does he speak Chinese? 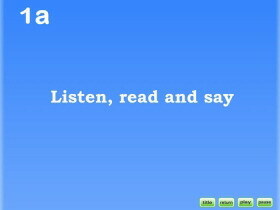 Topic 2What does your mother do? 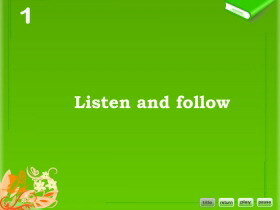 Topic 3What would you like to drink? Topic 1What can I do for you? Topic 2Would you like to go for a picnic? 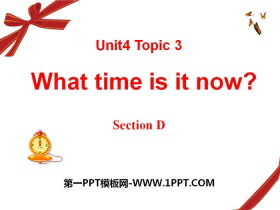 Topic 3What time is it now? 《What time is it now?》SectionD MP3音频课件 文件内包含本课教学使用的MP3音频文件，非常适用于本课教学。 关键词：仁爱版七年级上册英语MP3音频课件免费下载，《What time is it now?》音频下载，.mp3格式；..
《What time is it now?》SectionD Flash动画课件 本课件为课程学习的配套Flash动画课件，适合小学英语学习。 关键词：仁爱版七年级册上册英语Flash动画课件免费下载，《What time is it now?》动画下载，.swf格式；..
《What time is it now?》SectionD PPT 第一部分内容：Teaching aims and demands 1. Learn the phonetics. 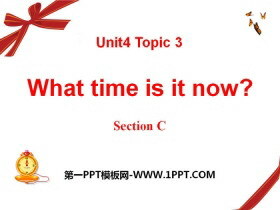 2. Review how to talk about the point of time: (1) Whats the time, please? Its one oclock. 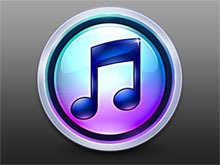 (2)Excuse me, what..
《What time is it now?》SectionC MP3音频下载 文件内包含本课教学使用的MP3音频文件，非常适用于本课教学。 关键词：仁爱版七年级上册英语MP3音频课件免费下载，《What time is it now?》音频下载，.mp3格式；..
《What time is it now?》SectionC Flash动画下载 本课件为课程对话学习的配套Flash动画课件，适合小学英语学习。 关键词：仁爱版七年级册上册英语Flash动画课件免费下载，《What time is it now?》动画下载，.swf格式；..
《What time is it now?》SectionC PPT课件 第一部分内容：Teaching aims and demands 1. Learn some useful words and expressions: way, on ones way home, wrong, meat 2. Talk about worries and thanks: (1) Whats wrong ..
《What time is it now?》SectionC MP3音频课件 文件内包含本课教学使用的MP3音频文件，非常适用于本课教学。 关键词：仁爱版七年级上册英语MP3音频课件免费下载，《What time is it now?》音频下载，.mp3格式；..
《What time is it now?》SectionC Flash动画课件 本课件为课程学习的配套Flash动画课件，适合小学英语学习。 关键词：仁爱版七年级册上册英语Flash动画课件免费下载，《What time is it now?》动画下载，.swf格式；..
《What time is it now?》SectionC PPT 第一部分内容：What is the animal? 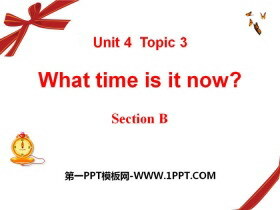 panda cats monkey lion elephants tigers ... ... ... 《What time is it now?》PPT，第二部分内容：Group work Do you know these animals? 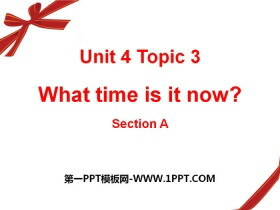 Write ..
《What time is it now?》SectionB MP3音频下载 文件内包含本课教学使用的MP3音频文件，非常适用于本课教学。 关键词：仁爱版七年级上册英语MP3音频课件免费下载，《What time is it now?》音频下载，.mp3格式；..
《What time is it now?》SectionB Flash动画下载 本课件为字母学习的配套Flash动画课件，适合小学英语学习。 关键词：仁爱版七年级册上册英语Flash动画课件免费下载，《What time is it now?》动画下载，.swf格式；..
《What time is it now?》SectionB PPT课件 第一部分内容：Teaching aims and demands 1. 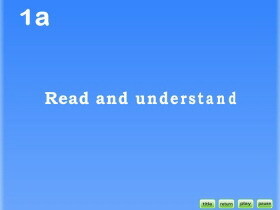 Learn some useful words and expressions: clever, animal, Its time to , go home, next, next time, get, get up, have breakfast 2..